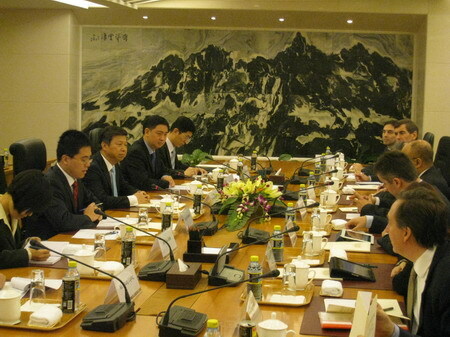 On December 22, 2011, Chinese Vice Foreign Minister Song Tao met with the delegation of the UK Parliament's All Party Parliamentary China Group, led by Chairman Mark Hendrick. Song made ​​positive comments on the sound development momentum of China-UK relations and encouraged members of the delegation to continue to contribute to the development of bilateral relations. The UK side expressed their admiration for China's achievements in economic development as well as China's opening and stability, adding the UK hopes to further strengthen exchanges and cooperation with China to promote understanding and friendship between the two countries. Upon request, Song also introduced China's principled position on the situation of the Korean Peninsula, the European debt crisis and other issues.